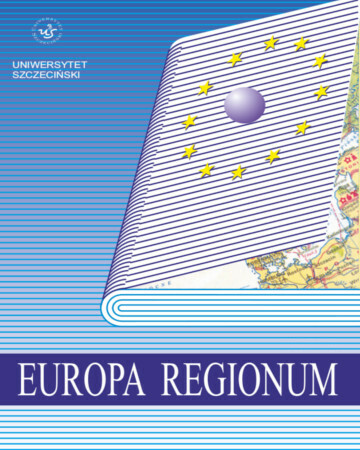 Europa Regionum is a journal of University of Szczecin, Poland. For collaboration and articles review are welcome authors form all faculties of University of Szczecin, as well as all other research centers in Poland and also foreign scientists. To publish article - besides geting positive reviews - the subcject of the article is taking into consideration. We intend to publish articles in Polish, German and English. The journals subcject is dedicated to development of regions and subregions in Poland and other Euroean countries and collaboration between the regions. Preferences will be given to articles based on case studies and also international cooperative studies. On the newest Polish Ministry of Science journals list "B" Europa Regionum has been credited 7 points.